This is a top range, disposable respirator. 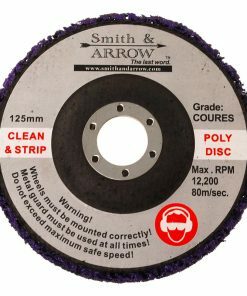 It will provide protection against dust, mist, fumes, and aerosols that are associated with metalworking, painting, welding, mining, bushfires or construction. 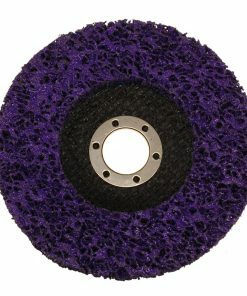 ONE WAY EXHALATION VALVE helps to minimize moisture and heat build up. PADDED NOSE BRIDGE to provide comfort. 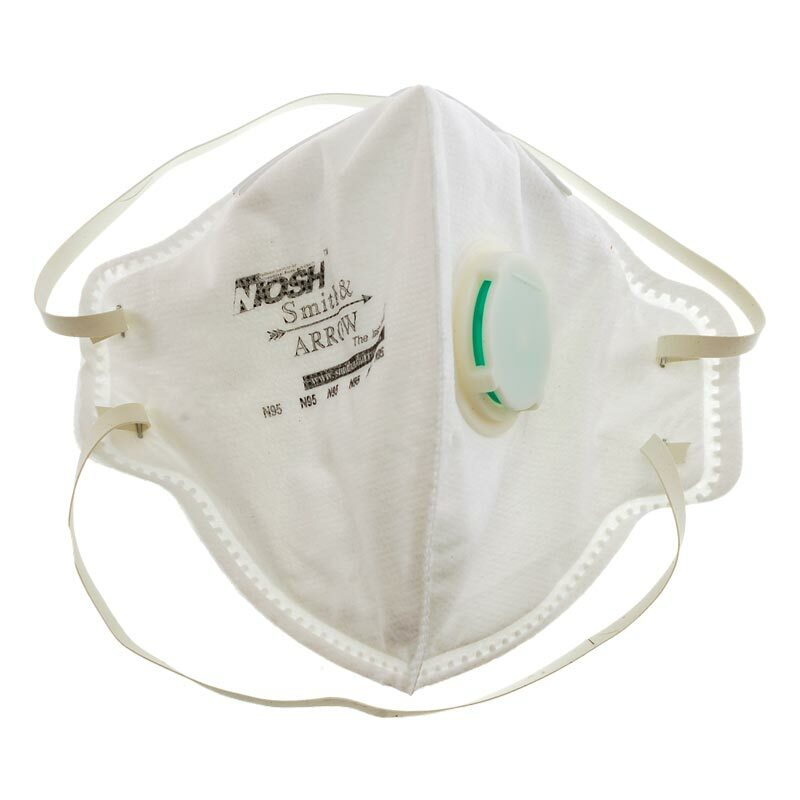 N95 Masks are superior as they have a minimum 94% particle filtration efficiency and may be used for mechanically and thermally generated particles. 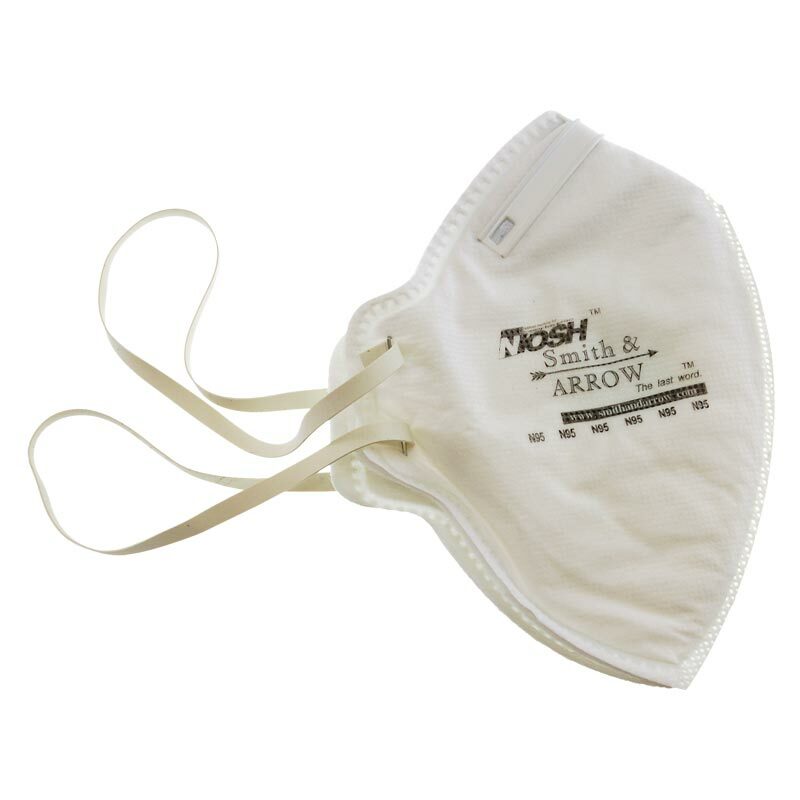 The most important aspects of P2 masks is that they can be used for mechanically and thermally generated particles. European standards (EN) for respirator classification. 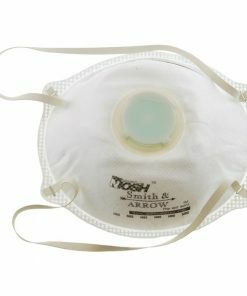 Smith & ARROW P2 Masks hold this AS/NZS 1716 Certification. This certification means, P2 particulate filtering respirators must have a filter efficiency of at least 94% when tested with Sodium Chloride aerosol. The particle size of this aerosol has a mass median diameter of 0.3 to 0.6 microns with a range of particles in the 0.02 to 2 micron size range. This aerosol is delivered to the filter at a flow rate of 95litres/minute. 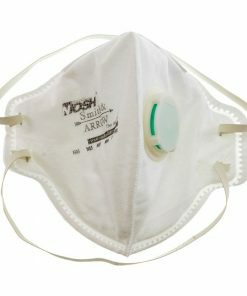 There are slight differences in airflow rates and particle sizes used in the various laboratory tests of respirator filter efficiency around the globe. These variations tend to accommodate the difference in minimum filter efficiency (95% vs 94%) between the classification systems. 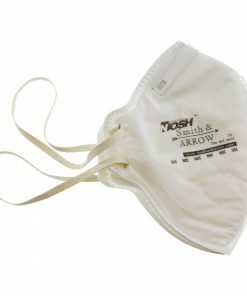 In practice these differences result in virtually no impact on the level of respiratory protection provided to wearers. 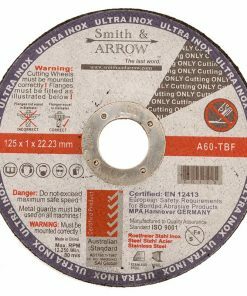 All Smith & ARROW respirators meeting P2 requirements of Australian/New Zealand Standard AS/NZS 1716, will also meet the requirements of the NIOSH N95 specification.